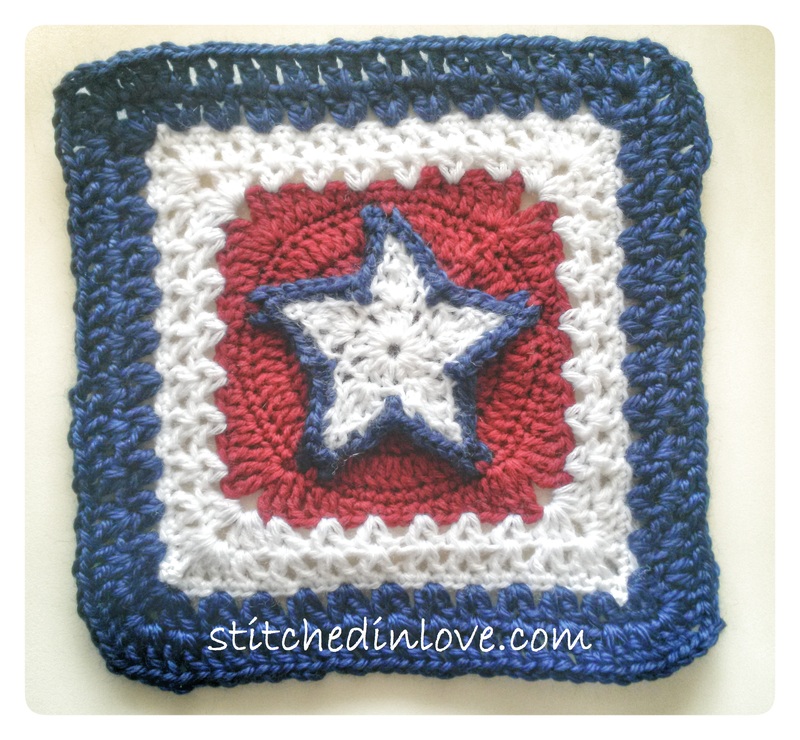 I think this is one of my favorite squares so far! The pattern can be found here. It made me think of fireworks and I just had to do it in red, white, and blue. I love how it turned out. Though if I did it again I’d probably just do the white either at the center or on the edging. It kind of breaks up the lines and makes their continuity hard to see. 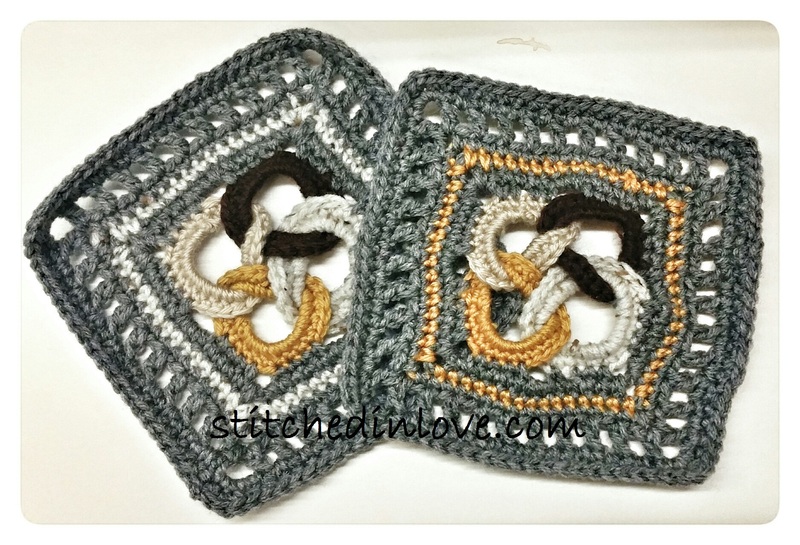 I love working with cable stitches or post stitches. 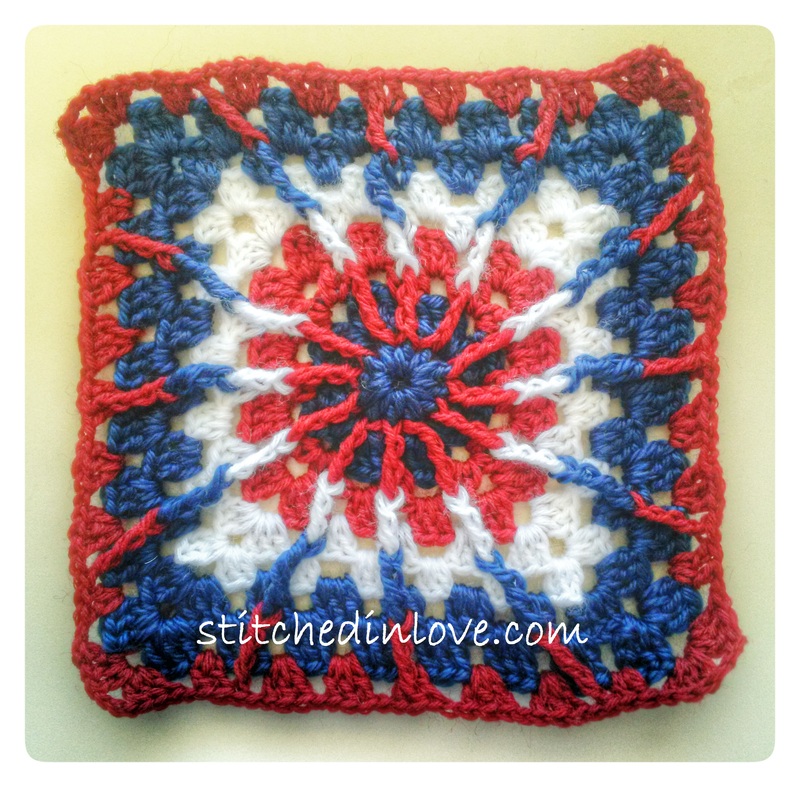 This square is made with front post double treble crochets. I have some mixed feelings about this square; the pattern for which can be found here. 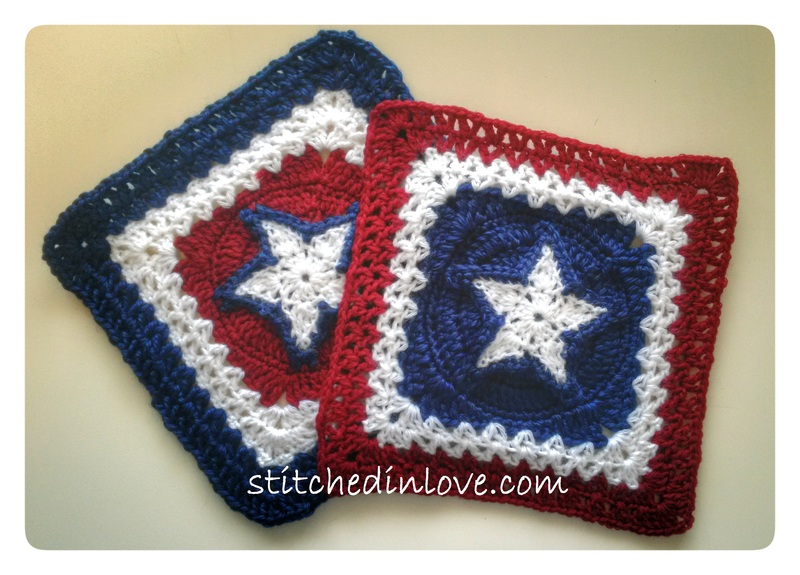 I have done several squares this year with a central motif themed for that particular month. Those squares were started with the motif, and then the square was created by working into it. With this square however, the star is worked completely separate from the square. That is to say, the square could exist without the star, whereas the other squares would not be complete without their motifs. The star is crocheted separately and then connected by single crochets thorough picots at each point on round 5. Somehow this just seamed like cheating to me. But, then I thought about it again. 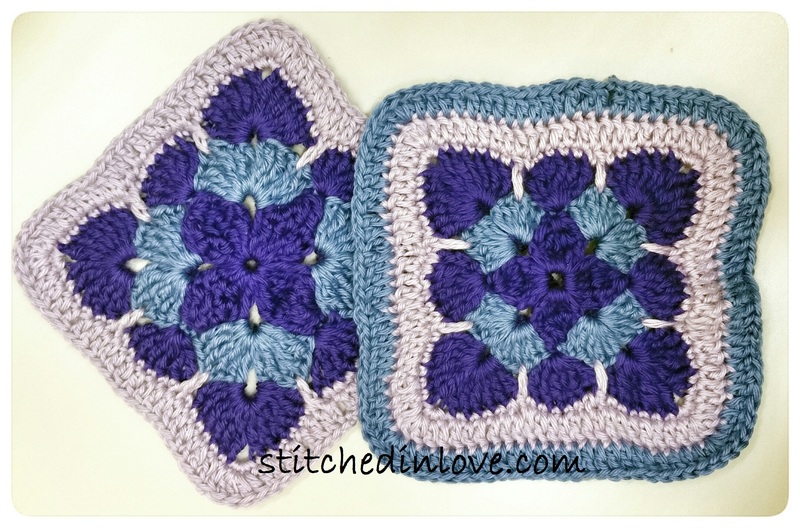 This project is about gaining appreciation for the vast variety possible with Granny Squares and I guess this is one of those possibilities. I do really like the 3D effect it gives the square. I also really like how the granny square clusters in this square are not actually clusters, but v-stitches. ((dc, ch 1, dc) all in one stitch.) 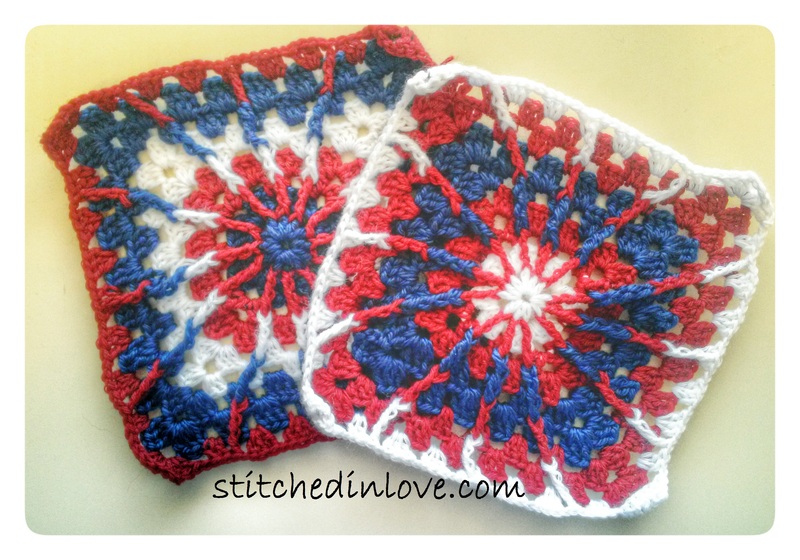 It keeps with the granny square tradition, but gives it a slightly different look that I found refreshing. I did depart from the patter at row 10. Instead of completing the last rows in double crochets and single crochets respectively, I continued with the v-stitches and liked this much better. I had to do a second row of v-stitches instead of single crochets in the last color so that I would reach my seven inches. One thing that I was worried about when I started this project was that I would find it difficult to make all my squares the same size. 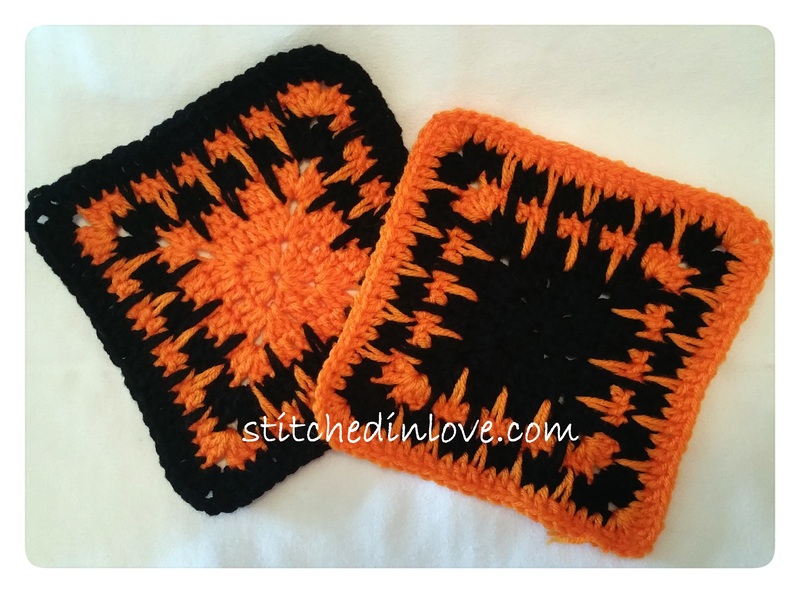 I was concerned that I would have problems with patterns designed to be larger or smaller squares than the seven inches I had decided on. However, this has proven to be a non issue. 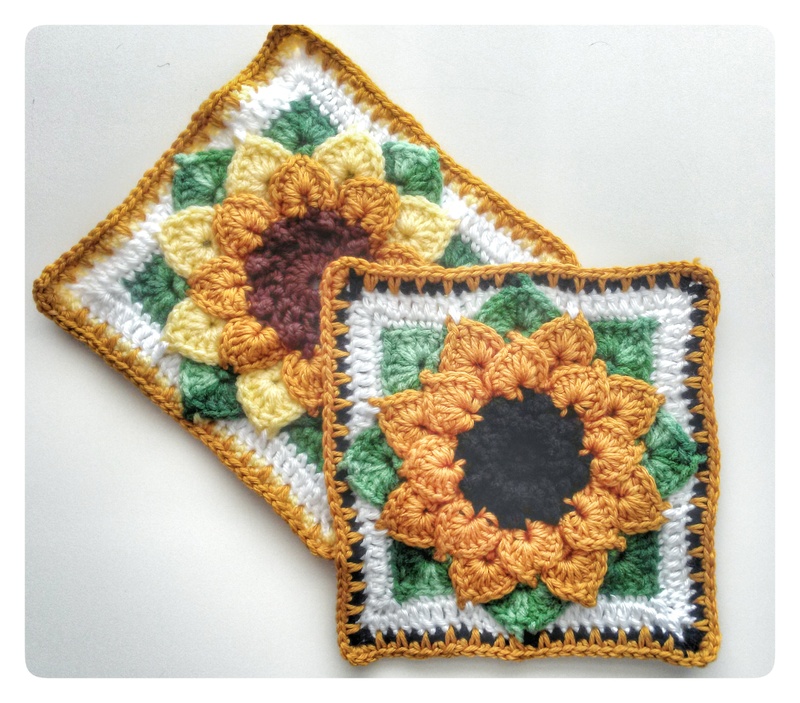 It has been relatively easy for me to decide if and how I need to modify squares, whether by changing gauge with my hook size, or by adding or omitting rows. Well we’re half way through the project now! I have so many other projects that I want to do right now. After I finish the next square I hope to do that parasol that I mentioned. Then I want to make a dress for my daughter. Then I would like to see if I can get most of the rest of my squares done this fall because I’d like to get them connected before Christmas. I have a surprise recipient in mind for the project and would like it to be a Christmas present!